Recycling old things is now a trend among mums. We love to save some more coins if we had a chance. And recycling saves lots of coins, to say the truth. So, why shouldn’t we try out new things with old stuff? They are old stuff anyways. So, no harm will be done with anything, anything useful. Here is a way to recycle your old t shirts. 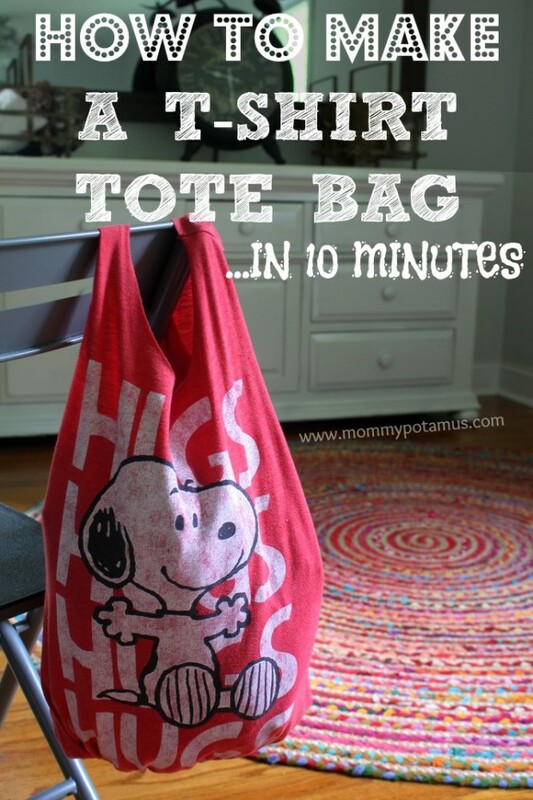 You can make simple tote bags with old t shirts. You only need an old t shirt and a scissor. Though they are not beautiful, they look decent. Ready to make some No Sew T Shirt Tote Bags? Click the Link Below for the tutorial.